The United States Air Force — already the biggest government buyer of renewable energy — announced it will be quadrupling its on-base solar energy generation in the next four years. With the Department of Defense spending $24 billion last year on fuel and power this move is not only going to be an earth saver but a cash saver for the whole country as well. 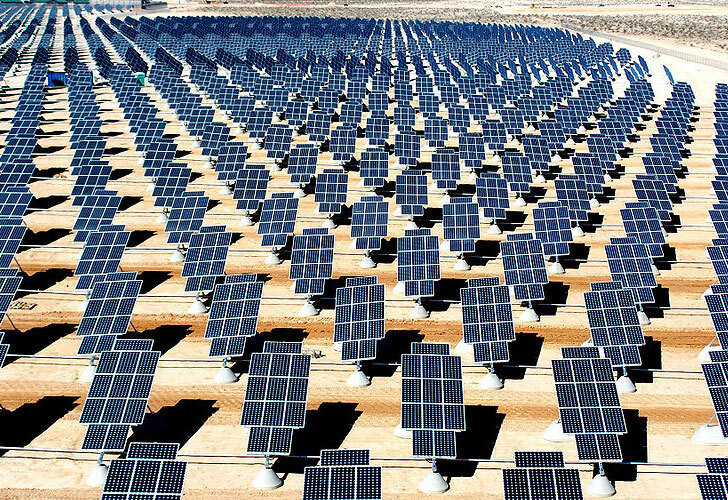 Some bases, like Nellis Air Force Base in Nevada already have solar energy generation facilities installed — the photos above are of the Nellis Solar Power Plant which generates 14 megawatts of solar power for their facilities. 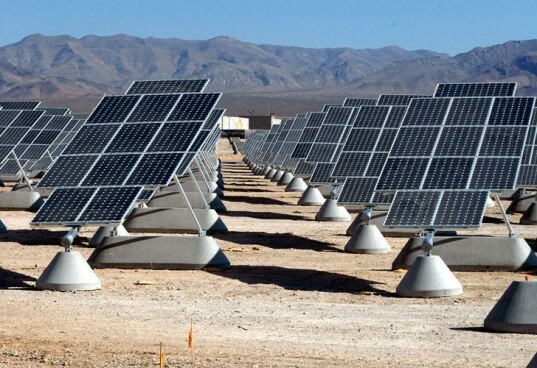 Last year after announcing their total power and fuel consumption cost the Department of Defense (DOD) announced that they’ll be requiring all of their facilities to get 25 percent of total consumption of power and fuel from renewable sources by 2025 — quadrupling the solar energy generated by the Air Force is one way to get there. On Tuesday night, President Obama’s State of the Union address called for the whole country to generate 80% of our energy from renewable sources by 2035. We’re hoping the DOD will be even higher than their 25% goal by 2025 — they’ll need to be in order to reach the 80% target 10 years later. US Military groups around the world are focusing on using renewable energy in their missions and facilities, like this biofueled plane and these solar powered tents. Announcing the quadrupling of the Air Force’s on-base solar energy generation is just another stop on the road to reducing the emissions of the giant energy guzzler that is the US Armed Forces. If the US Air Force can meet their goal of quadrupling their on base solar power in four years, they’ll be well on their way to reducing their emissions and move towards saving the whole nation some cash – they spent $24 billion last year on fuel and power. The United States Air Force -- already the biggest government buyer of renewable energy -- announced it will be quadrupling its on-base solar energy generation in the next four years. With the Department of Defense spending $24 billion last year on fuel and power this move is not only going to be an earth saver but a cash saver for the whole country as well.